of the Bosnian Pyramids. A Sacred Spirit Journey. With a New and Expanded Itinerary including visits to Love and Dragon Pyramids first time available to us. Pyramids are believed to be Energy Machines ~ Portals To Other Dimensions and Galaxies ~ Part of the Cosmic Internet ~ Amplifiers of Energy ~ A Mystery Waiting to be Revealed ~ Gateway to Universal and Ancient Wisdom ~ With Great Healing Potential ~ Agents of Change and Transformation ~ And Yours To Discover and Explore Live and in Person. You WILL return home from this trip a different person from when you left. There is no doubt in my mind that at least one area of your life will undergo transformation because of your visit to the Bosnian Pyramids. Change ignited in Visoko will continue to unfold in your life for weeks, months and yes years after your visit. How the change unfolds is between you and the Pyramids. The Bosnian Pyramid and Ravne Tunnels Energies and Spirits love to get personal and co-create with you. This journey to the pyramids was life expanding. I felt so much joy climbing the Pyramid of the Sun. I giggled on the climb up and on the descent down.While meditating at the Moon Pyramid, I experienced a heart opening that words cannot describe. 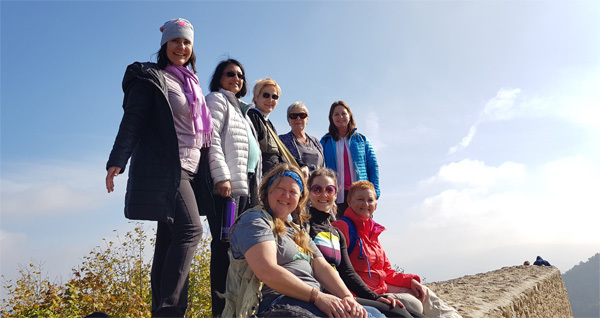 Join me, Esther Bartkiw, Conscious and Ascension Guide, Light Beacon and Spiritual Mentor, for a profound, heart opening, life transforming trip to the Bosnian Pyramids. September 29 to October 8, 2019. 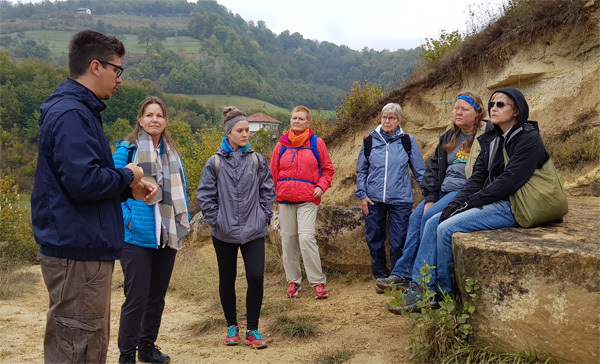 My trip to Bosnia was one of learning and experiencing another culture, history, foods, feeling fully engaged in the energies especially in Visoko with the Pyramids and tunnels. Being in the Ravne Tunnels was that of pure air and an awesome activation. I am humbled and grateful. Thank you Esther for your activations, guidance and putting this adventure together. Imagine standing on top of the Sun Pyramid, the tallest Pyramid in the world, where it has been scientifically proven an energy beam spirals up into the sky. You stand in this vortex of electrifying and transformative energies allowing them to unwind lifetimes of limitation from your mind, body and energy field and infuse you with the highest vibrations available to you on the planet. What might come from the energy infusion? What possibilities? Are you curious to find out? 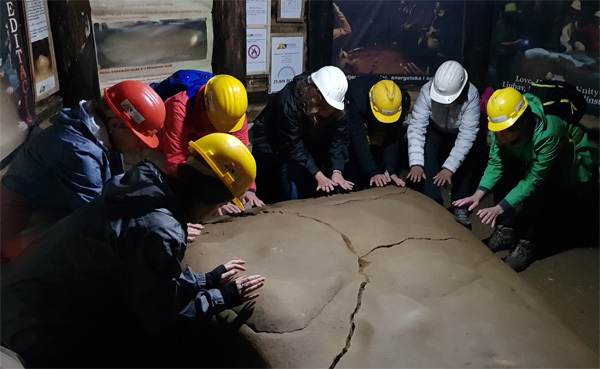 Spend time exploring and meditating inside of Ravne, a network of tunnels and chambers running under Visoko Valley believed to connect the pyramids. Research and investigation is showing that a person’s health improves even after a short stay inside the tunnels. What makes them so special and a must visit? The Ravne Tunnels contain a high concentration of negative ions which help the body to move into a natural state of health and wholeness physically, mentally, emotionally and spirituality. Personal testimonials of people’s body responses to spending time inside of Ravne are astounding. Again what might be the possibilities for you? 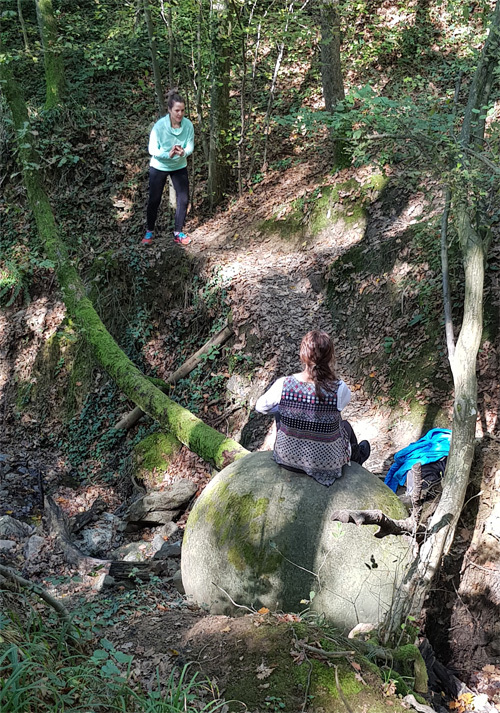 Delve into the mystery of the Stones Spheres a phenomena found in several places around the world including Bosnia. Do they hold energetic and/or healing properties? Are they a sign from Ancient Civilizations and if so what is their purpose? Touch, climb upon, be with the Stones Spheres; yours to discover. For the first time available to us as a group, visits to Dragon and Love Pyramids. As expansion with the Pyramid Project proceeds and I continue to build relationships with my contacts and friends in Visoko, new opportunities to experience and BE with the energies present. I am thrilled to be able to offer you a day of adventure on Dragon and Love. 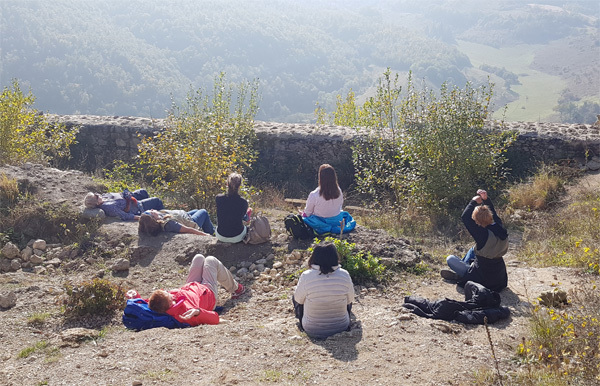 Walk and Meditate upon the high vibrating energy field located in the center of Visoko Valley, the center of the triangle created by Moon, Sun and Dragon Pyramids. It is a vibrational field beyond anything you may have experienced before. Another new opportunity granted to us through friendships created while spending time in Visoko. I am shedding many layers in all my dimensions. Thanks to you Esther, the group and the Pyramids, I am entering a new and thriving period of my life. One week in Visoko was worth a lifetime of prayers! Infuse yourself with the energies of the Sun, Moon, Love and Dragon Pyramids plus Ravne Tunnels, raising your vibration, creating an inner shift, allowing for tangible change in your day to day living in at least one area of life. The Question is what do you want to create and experience? Be on the cutting edge of this exciting archaeological discovery that is changing world history as we know it. Receive deep spiritual insights, wisdom and knowledge which will forever alter your life path and personal transformation process. 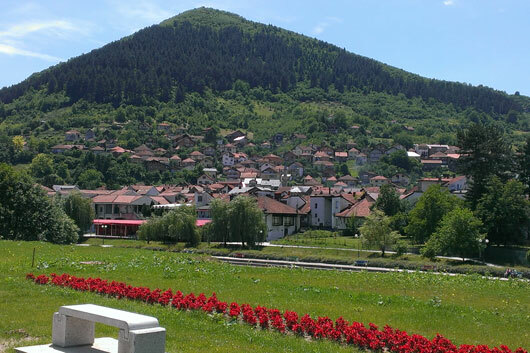 Enjoy the energies, vibrancy, sites and natural beauty of Visoko Valley and Sarajevo. Experience the unique Bosnian Culture a mix of east and west a crossroads of the world. Experience the unique Bosnian Culture a mix of east and west a crossroads of the world. With plenty of free time provided, spend as much time as you wish inside of the Ravne Tunnels breathing in the negative ions, moving your body into wholeness on all levels. Or meditate and soak in the energies at one of your newly discovered favourite spots. Climb to the top of the tallest pyramid in the World; The Sun Pyramid. Participate in Deep, Rich Activations and Meditations led by me Esther Bartkiw. Create the possibility for change, transformation and healing on all levels and layers of your Mind, Body and Spirit. Facilitate a deeper connection with Source, your True Self and Star Family. This is just the beginning of what you may experience. Six years after my first visit to the Pyramids I am still reaping benefits, change and transformation from my initial visit. 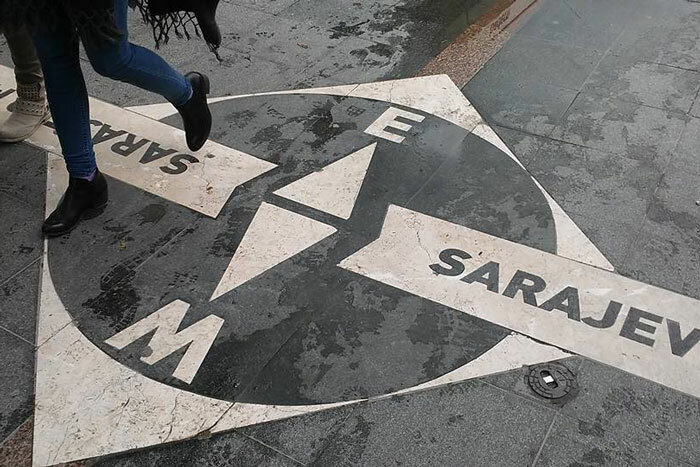 Sarajevo is rich in history, culture and a cool place to hang out. 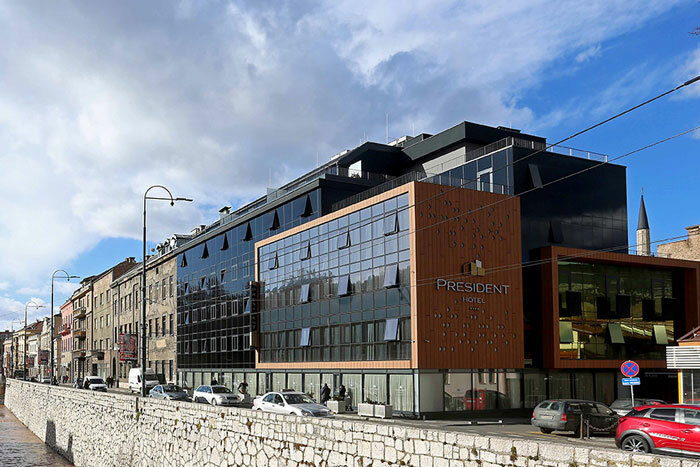 We spend 3 Nights at Hotel President located in the heart of the old town right along the river bank. Amazing buffet breakfast to fill your belly for a full day ahead. 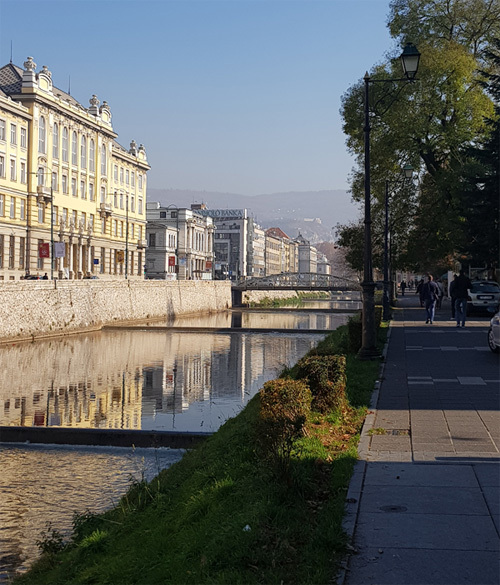 Steps from shopping, restaurants, cafes, nightlife, the old bazaar, the spot where Archduke Franz Ferdinand was killed thus triggering WW1; where east meets west. Amazing buffet breakfast to fill your belly for a full day ahead. In Visoko our home away from home is Hotel Luxor. Located in the center of the town, steps from cafes, restaurants, shops, taxi stand, the river and within walking distance to the Sun and Moon Pyramids and Ravne Tunnels. Aki is our host and this recently renovated lodging offers you a calm and peaceful space in the midst of a bustling town. The rooms are modest, clean and comfortable with continental European breakfast served in the main dining area every morning. The Bosnia trip was the best thing for me. It raised my spirits and enhanced my wrist healing. Featuring Group Activations, Meditations and Conscious Discussion With Esther. Get ready to explore your own inter-dimensional connection with the Bosnian Pyramids and Ravne Tunnels. Having experienced and played with the Pyramid and Tunnel Energies many times in person, I will work with the Divine Messages received while at the Pyramids to facilitate activations and meditations allowing for an atmosphere and possibility of healing, change, transformation and Divine Alchemy. I know where in the Valley the vibrations and frequencies are HIGH and will take you to these spots for group and personal meditation and your own inner work. We will engage in spiritual practice and activity on top of the Sun Pyramid where the energy beam has been documented to radiate. Also on the Pyramid of the Moon, at Vrathic Tumulus believed by many to be a Star Gate, and inside the Ravne Tunnels. Plus I am certain the Bosnian Pyramids will offer us surprises along the way. It is said that no one makes Cepavi like the Bosnians. Small grilled meat sausages made of a lamb and beef mix; served with onions, ajvar and local pita bread. Burek is another traditional Bosnian dish, a flaky pastry rolled in a spiral and cut into sections filled with meat, potatoes, cheese or spinach. While Bosnia is a meat, bread, cheese, sweets and coffee consuming country, for vegetarians there are dishes you can count on. Ask for your Burek filled with spinach or pumpkin. The Shopskata Salade is always a favourite choice. Authentic falafels can be found on most street corners, and your sweet tooth will be satisfied with Bosnia Baklava or perhaps some Turkish Delight. 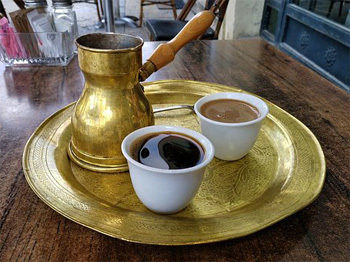 Let’s not forget the Bosnian coffee, hot, strong, sweet if you wish and perfect anytime of the day. The itinerary laid out below was Divinely inspired and consciously crafted to facilitate the greatest awakening and inner shift possible during our time together. 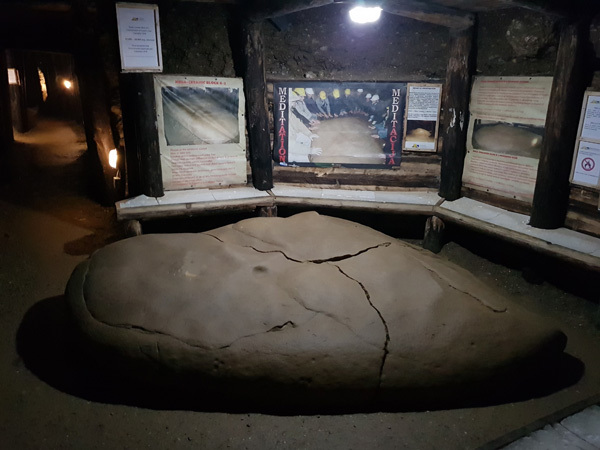 To connect you in a very personal way to the energies and Spirits of the Bosnian Pyramids, Ravne Tunnels and other local sacred sites. To allow for a Soul and Heart expansion so Big and Dynamic, that even before you return home you will Know that incredible change is taking hold within. Oh yes and Fun and Adventure. There must be fun and adventure! Day 1: September 29th. The Journey Begins! Upon arrival in Sarajevo you will be greeted at the airport and taken by private transfer to our hotel to rest and refresh after your flight. In the evening we gather to meet and get to know one another during our Welcome Dinner. A beautiful time of sharing with like minded Souls. Get a good night’s rest for tomorrow we begin our Spirit Journey. After a delicious breakfast at the hotel we begin to explore and learn about Sarajevo on a city tour with a local guide. The tour includes a visit to the Tunnel of Hope constructed under the runway of Sarajevo airport during the War in order to connect the besieged city with the rest of the country. Then we head back to the old town for a unique experience of Gourmet Food and City walking tour during which we will visit historical and cultures sites while enjoying local and traditional Bosnian Foods. After the food tasting and old town tour enjoy free time to explore Sarajevo on your own or with one of your travel mates. Sip some raki. Souvenir shop. Try nargila. 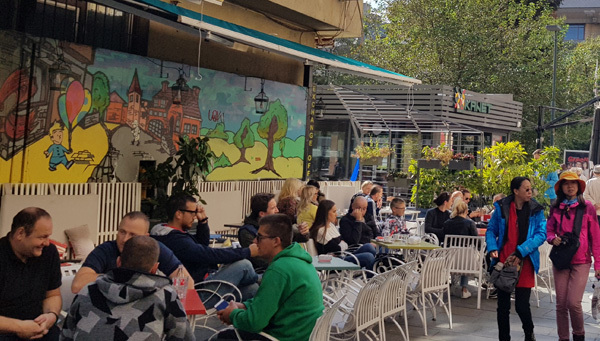 Enjoy Bosnian coffee and sweets at one of the outdoor cafes. After breakfast we depart Sarajevo for a 40 minute drive to Visoko. First we drop off luggage at Hotel Luxor, our home for the next few days. Greeted by an official Bosnian Pyramid of the Sun Foundation guide, our much anticipated visit with the Bosnian Pyramids begins. First stop the Belvedere view of the Pyramid of Sun. A great photo op. Once pictures have been snapped, we jump back into the bus and off to Ravne we go for a guided tour through the tunnels. Your first encounter with the energies and spirits of Ravne. Ever had lunch on the side of a Pyramid? Well today is the day. One of the most favoured lunch spots in Visoko is where we will break before touring the Sun Pyramid archaeological dig and discovery sites. After that the evening is yours to explore Visoko on your own or with your travel mates. There are plenty of restaurants and cafe bars in the town to choose from for an evening meal. A stroll along the river may be your fancy or find a bench and gaze up at the Sun Pyramid soaking in the energies. After breakfast at our hotel we take a short drive to Vratnica Tumulus located about 5 km outside Visoko. The tumulus is considered to be an energetic hot spot associated with the Bosnian Pyramids. We will connect to the energies through a guided Crystal Star Gate Meditation. Then it’s on to the Moon Pyramid. Get ready to be held in the arms of love as the Moon wraps you up in beautiful feminine, intuitive, creative energies and I guide you through a group meditation. At the top of the Moon Pyramid spend time meditating at the spot of the Moon energy vortex. 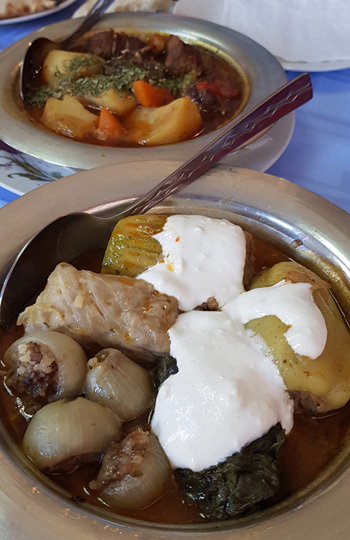 See unearthed pyramid structure and enjoy a delicious traditional Bosnian lunch cooked by a local farmer. Then it is off to the top of the Sun Pyramid. I know you have been waiting for this moment. Stand on top of the highest Pyramid in the world in the midst of the Energy Beam scientifically proven to be emitting at the top of the Pyramid. Here we will enjoy another group activation while allowing you time for your own personal meditation and spiritual practice. The rest of the day is yours. Enjoy free time for resting, walking through nature, enjoying Bosnian coffee at a cafe; talking to the friendly locals. Grab your camera, it’s road trip time. We are off to see the mysterious Stone Spheres. These mind boggling objects are found all over the world and along with the Pyramids are one of Earth’s greatest mysteries. Some call the Stone Spheres mini Pyramids. Here’s your opportunity to spend time with the stones and decide for yourself. 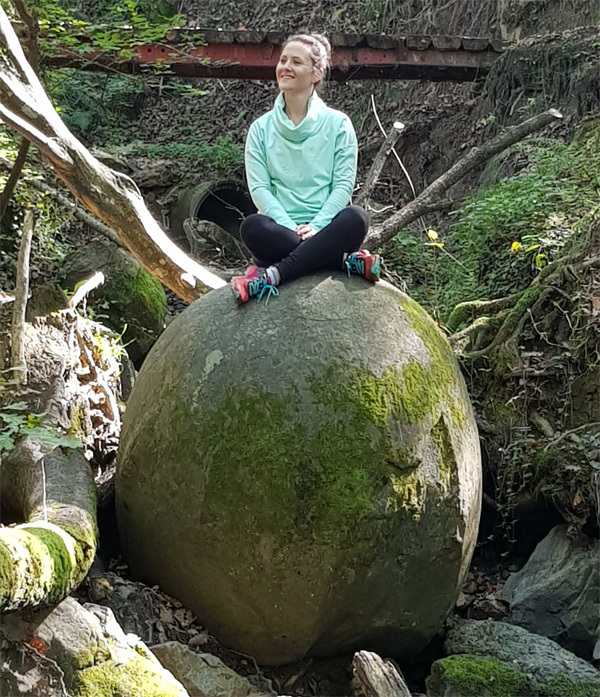 Our excursion includes lunch at the Stone Sphere Park or local restaurant. Back in Visoko rest up for tonight we attend a special and mystical Sufi Ceremony and Dinner at a local Tekkia. This is a one of a kind experience that has become available to my groups at the invitation of friends I have made in Visoko. We begin with a traditional Bosnian dinner sitting on the floor at a round table dinner with other members of the Sufi community. Then we are escorted to a sacred room to set intentions, make wishes and seed what we want to manifest in our lives. After we move into the Tekkia to observe a Sufi ceremony of chanting, mysticism, meditation and dance. The group I took last year said this evening was one of the highlights of the trip. 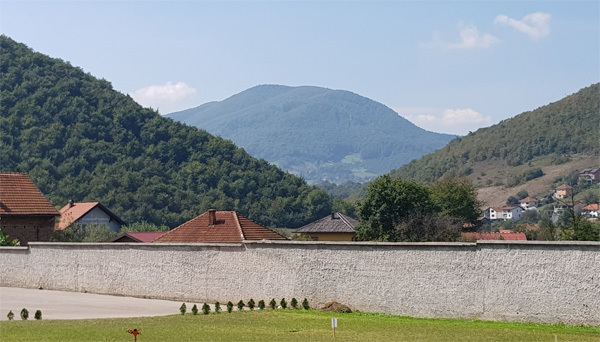 After breakfast we head back to the site of last night’s ceremony to spend time on the Energy Field located right in the center of Visoko Valley, also the center point of the triangle created by the Moon, Sun and Dragon Pyramids. Another new experience for our group! This field is considered by many to be one of the highest vibrating spots in Visoko Valley. You will have plenty of time to roam the field, meditate, soak in the energies for your personal process while gazing at the Sun, Moon, Love, Dragon Pyramids and Temple of Mother Earth. Yes we are right in the center of the valley. After our time on the field we will have lunch cooked with love by members of the Sufi community and then off to Ravne we go this time for an exclusive group Activation at one of my favourite spots inside of the tunnels. After the activation you will have time in the tunnels for your own private meditation. The rest of the days is yours for free time and exploration. Breathe in the negative ions. You can also visit Ravne 2 Park the Healing Spa and Meditation Forest. For the first time I am able to offer to our group excursions onto Love and Dragon Pyramids. This is exciting for me and a new experience for all. Love teeming with the vibration of unity consciousness, oneness and pure Divine Love. And Dragon a powerful energy field with the right and perfect frequencies for strength and transformation. Warrior energy! Design your perfect day. You came to visit the Pyramids and on this last day in Visoko spend your time according to your wishes. Do you want to revisit the Ravne Tunnels, meditate on the Moon, head back up to the Sun Pyramid, wander the village soaking in the Pyramid energies? Perhaps all of the above. This is your day. Enjoy. We say our good-byes to Visoko and the Pyramids knowing that we are forever connected with the energies and spirits of the Valley and it’s off to Sarajevo we go. Once back in the city you will have free time to spend wandering the old town, visiting the bazaar, sipping coffee, soaking in the vibe and of course souvenir shopping. Early evening we gather for our Farewell dinner as we say our final goodbyes, reminisce over our experiences and get ready to head back home. With your heart, mind and body filled to the brim with Pyramid Energies, the sites and wonders of Bosnia, it is time to head home. Prepare to take fabulous memories, new dreams, awarenesses and a new You back to your homeland. The transformation that began on this trip will continue to unfold over the days, weeks, months and even years to come. Depending on the time of your flight you will enjoy breakfast at the hotel and be transferred by private service to the airport to board your flight home. All breakfasts. Buffet in Sarajevo. 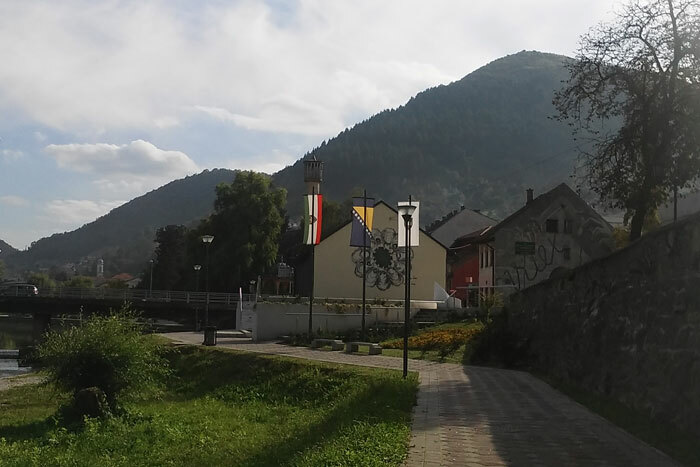 European continental in Visoko. *Sometimes unforeseen circumstances might make it necessary to make a change but we’ll always do our best to replace it with one of equivalent value. OMG!! I'm ready for Bosnia! Extra donations and tips you would personally like to make for stand out service. Cost of accommodation and associated services for overnights en route, caused by weather, flight schedules and other events. *If you would like to request a roommate to avoid paying single supplement please let us know. We will do our best to find you match however there are no guarantees. Please note your deposit is non-refundable. We reserve the right to cancel the trip if it is not meeting the trip minimum, but your funds are fully refundable if this occurs. Trip cancellation insurance is strongly recommended when making travel plans. You can use our suggested Travel Guard Insurance online and choose from several policy options or contact Ales and he will be able to assist you with arranging travel insurance for you. For reservations, deposit making, booking and travel information please contact Ales Struna, Journeys of the Spirit at 1-866-866-5566 or via email ales@journeysofthespirit.com. For information about the tour itinerary or any other questions contact Esther Bartkiw esther@whispersfromthesoul.com. I just returned from Iceland with Esther where I released a lot of energy from my physical body. It was a great experience and I do recommend Esther Bartkiw’s trips! They are once in a lifetime experiences that are life changing. I am a different person today compared to who I was before the trip. Transformation is exciting and beautiful, especially when it happens right in front of your face. I released my fear of edges — ends of the earth, ends of time; standing on the edge; ends of anything. It all disappeared! Esther helped me physically release my fear of being at the edge, while we were at a volcano. Physical releases are so good! The energy work you provided daily during the trip felt great. I managed to stay in an excellent frame of mind regardless of being in unfamiliar surroundings with unfamiliar people and long daily schedules. I knew you were doing something to help my energy flow. I also felt the benefits of our group sessions. I expanded from being in the vortexes and at the sights. The mix of people on our trip was perfect for my “Healing.” The expanding has not stopped since my return home. I had an amazing time on my sacred soul journey with Esther in Iceland. I felt joy right away when I got off the plane and I couldn’t stop smiling. When I met Esther it felt like we’d been friends for a long time. There is an ease to Esther that is very nice to be around. For the last few years I’ve really been working on my voice and learning sound alchemy. My voice has been a tough area for me. I’ve been taking singing lessons for a few months now and for the first time since Iceland I was able to sing with power and I could feel how connected I was to the energy flowing through me. I also have singing bowls that I play at home with and since Iceland I have been toning differently. It feels like I’m finally starting to tap into my deep innate gifts and I definitely think this is connected to the trip to Iceland. I couldn’t recommend a soul journey with her more! Esther Bartkiw has been lauded for her extraordinary ability to scan people’s minds, bodies and energy fields to identify the blocks depriving them of a fruitful life. People working with her have experienced an expansion of consciousness, and have found their lives to change and heal in a variety of ways. After waking up to the awareness that not only did she not love herself, she didn’t even like herself, Esther embarked on a journey of falling in love with Self which continues to deepen and blossom every day. Esther is driven by the inner knowing that loving Self and knowing who you truly be as a Energy, as Soul Signature is key to experiencing a juicy life. She applies the most cutting-edge healing technologies so that every personal session, group, or live event she co-creates with you will create change and a welcomed state of expansion. 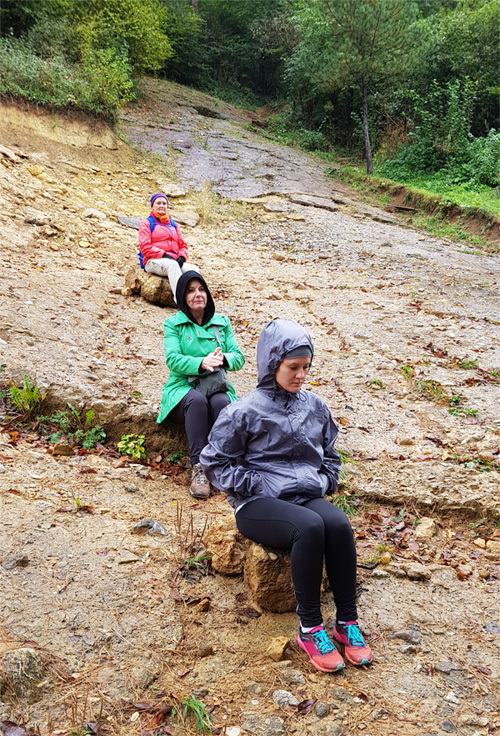 “My first taste of guiding a Sacred Spirit Journey was to the Bosnian Pyramids in 2015. 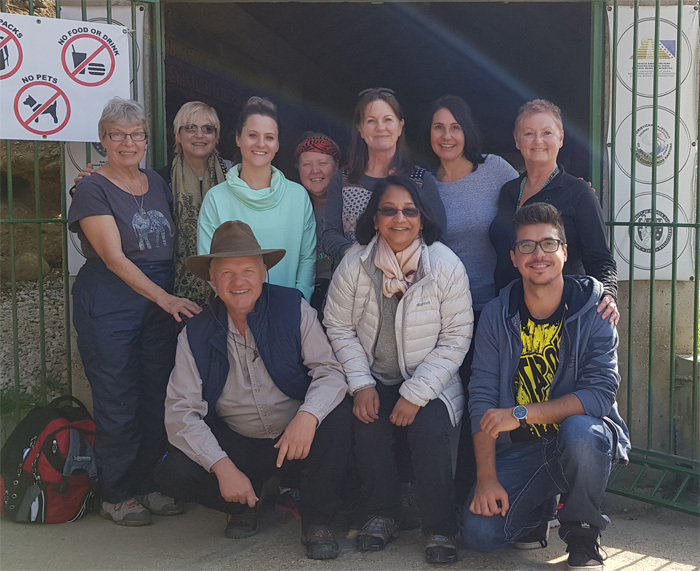 The retreat offered participants not only an exciting adventure, but also facilitated personal change at a deep level. It also stirred up within me a desire to offer more Spirit filled transformation journeys. The most recent Spirit Journey to Iceland was fun, powerful and transformative beyond belief! And now we head back to Bosnia. I am excited to see what unfolds for us on our journey. I believe that experiential travel is soul stirring, inspiring, heart opening and above all life changing. It allows for personal growth through connections with other cultures, people, visitation to sacred sites and energetic hot spots around the world. Book your flight to Sarajevo for arrival by 2 pm on September 29th at the latest, leaving anytime on October 8th. Feel free to make your own flight arrangements or reach out to my Travel Planner Extraordinaire Ales Struna for assistance with flights and travel insurance. If you do book your own flight please notify Ales with your flight information. We ask that you wait to book your flight until we give the go ahead knowing the required number of people for the journey has been met. Ales contact info 866-866-5566 or via email at ales@journeysofthespirit.com. This tour requires daily walking. Guests must have sufficient self mobility to walk to Sacred Locations, ascend hills and slopes and to be able to walk at a reasonable pace without the assistance of others. Please contact Esther if you have any questions. Journeys of the Spirit Luxury Travel and Esther Bartkiw act only as agents in securing hotels, transportation and other travel services and will not be liable in the event of any failure by any person or company to render said services. All hotels, transportation and other travel services are provided subject to all terms and conditions under which they are offered to the public generally. Journeys of the Spirit Luxury Travel and Esther Bartkiw shall not be liable for any personal injury, property loss or other damage arising out of, or incident to, the tour or otherwise. Airlines are not responsible for any act, omission or event during the time passengers are not aboard their aircraft. Passenger tickets, in use by the airlines, when issued, shall constitute the sole contract between airline and purchaser and/or passenger. Furthermore, Journeys of the Spirit Luxury Travel and Esther Bartkiw are not responsible for inclement weather, political acts, or any “acts of God” or the shortening of a trip due to these occurrences. Nor are they responsible for airline or ground operator defaults or repayment of monies lost due to default. Nor are they responsible for lost luggage. 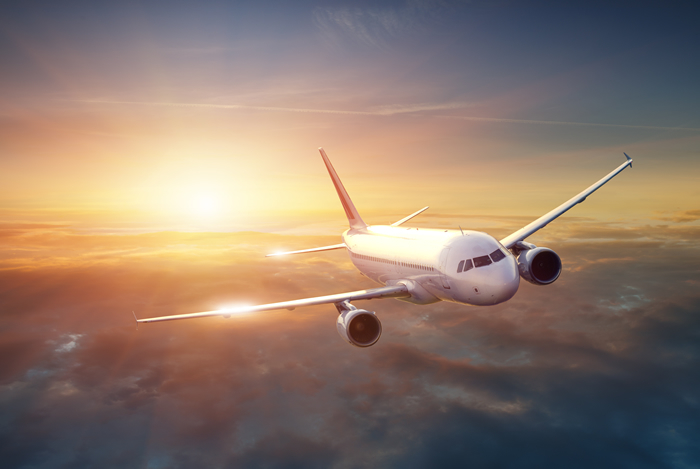 Flight schedules and accommodations are subject to change at any time, though such changes are not anticipated. No refunds will be made for changes beyond the control of Journeys of the Spirit Luxury Travel and Esther Bartkiw. Esther Bartkiw and/or Journeys Of The Spirit reserve the right to refuse a participant to commence or continue on the retreat, if in their opinion, the participant is incapable of looking after herself or if the participant becomes objectionable to other participants, or a hazard to herself or other participants. Esther Bartkiw and/or Journeys of The Spirit will not be under any liability to that person for any loss or expense arising from this action. Please make sure your passport is valid and does not expire for at least six months. Also check to make sure it has several empty pages for stamping purposes. Please check with your embassy to see if a Visa is required. Citizens of Canada and The United States of America do not require a Visa when entering, exiting or traveling through Bosnia and Herzegovina up to 90 days. A list of countries that are exempted from the visa regime is available on the Ministry of Foreign Affairs of Bosnia and Herzegovina web site: www.mvp.gov.ba. Tour excursion dates, timing, accommodations, meal venues etc are subject to change at any time, though such changes are not anticipated. This Sacred Spirit Journey includes activities and excursions to various places of interest as set out in the information page. The participant accepts that these activities involve varying degrees of risk and takes part in these activities at his/her own risk. The participant accepts that Esther Bartkiw and/or Journeys Of The Spirit, are not responsible for any personal injury or death sustained in these recreational activities. 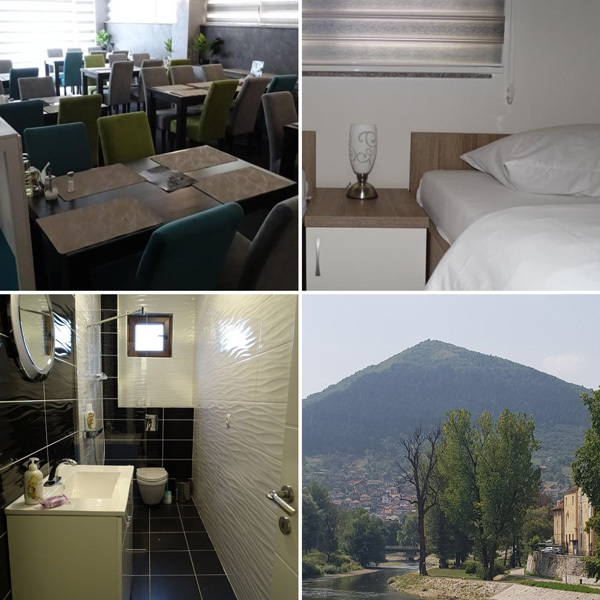 Images Courtesy of Bosnian Pyramid of the Sun Foundation, Hotel President, Hotel Luxor and Esther Bartkiw.